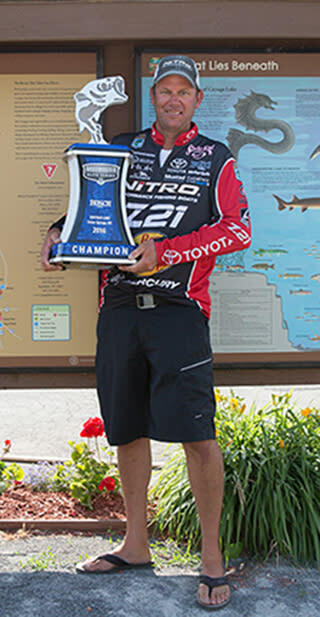 111 Bassmaster Elite Series pros gathered in Union Springs June 23-26, 2016 for the Bassmaster Elite Series to compete for a $100,000 grand prize. The tournament is now set to air on ESPN2 on Sunday, August 28 at 8:00 a.m. and Sunday, September 4 at 7:00 a.m.
ESPN2 is an American basic cable and satellite television network that is owned by ESPN Inc., a joint venture between The Walt Disney Company and the Hearst Corporation. As of February 2015, ESPN2 is available to approximately 94,379,000 pay television households (81.1% of households with at least one television set) in the United States. For information on accommodations and other things to see and do during the Bassmasters Elite Series event on Cayuga Lake visit www.tourcayuga.com or call the Cayuga County Office of Tourism at 800-499-9615.